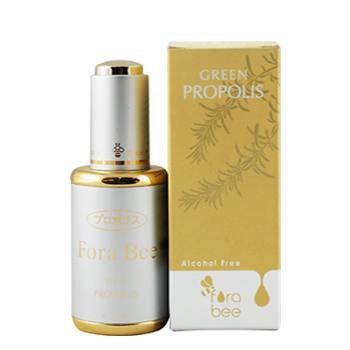 Propolis Liquid is processed from the highest quality brazilian propolis and is extracted without alcohol. This product contains flavonoids, a natural anti-oxidants, which provide the powerful support to the immune system and aids bacterial infections. Accelerate the healing of skin infections, wounds, burns as well as mouth and peptic ulcer. Assist in the treatment of cold, flu, sore throat and stomach infection in a very efficient way. Apply directly in the mouth or throat or mix 1-2 drops with water or apply directly to wounds and burns.